On route D559 which links Hyères (12km) to Toulon (8km). 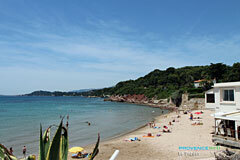 Le Pradet is a charming Var coastal resort which stretches out for 7 kilometers along the coast. 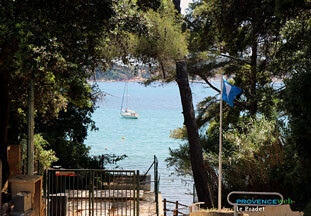 Wild coves alternate with sandy beaches surrounded by lovely Mediterranean vegetation. 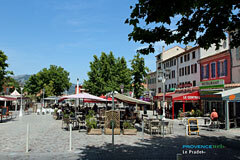 There is even a little port, typical of the area. In the heart of the village you will discover the Cravéro park which shelters deer, sheeps and parrots all in a beautiful garden. Don't forget to visit the Mine of Cap Garonne with its 120 varieties of cristals in all forms and colors. It is unique in Europ. All water sports. Tennis. Hiking and biking. La Garde (3 km), Carqueiranne (5 km), and La Crau (7 km).